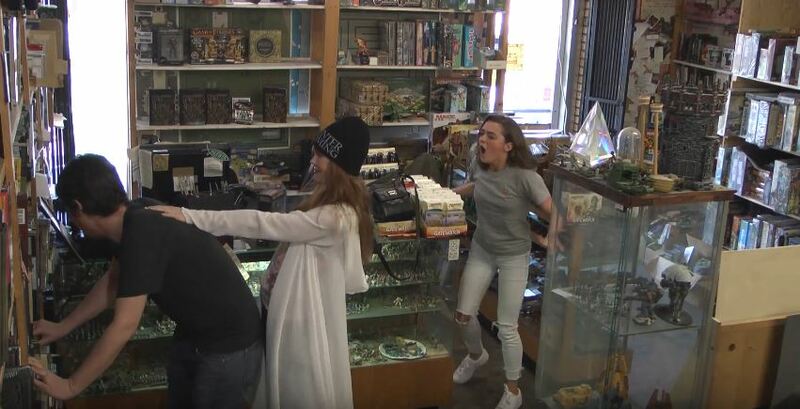 Game of Thrones fans got a little more than they bargained for when they visited a hobby shop in California recently. 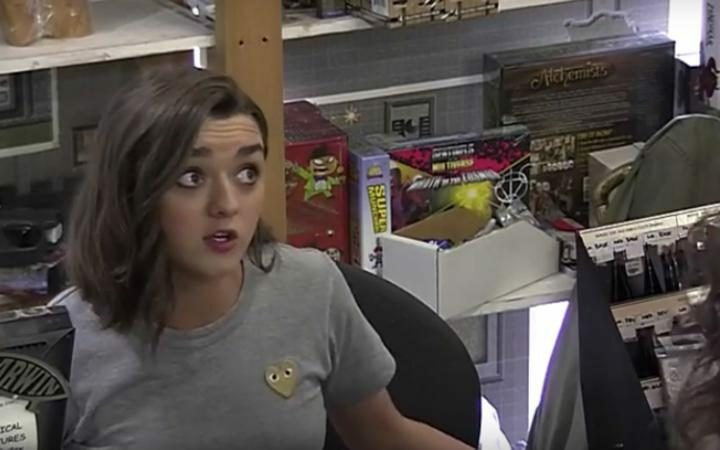 Masie Williams – aka Arya Stark, star of the hit HBO series GoT – was manning the counter when fans entered the shop, claiming to be a shop assistant called Lorraine. Now, Lorraine is not famous, and she’s never watched — let alone starred in — Game of Thrones. Of course, fans recognized her, but like the pro she is, Maisie didn’t break character once. Instead, she offered to give out free GoT merchandise if customers were willing to act out some of the show’s most memorable scenes. And actually, the attempts at acting aren’t that bad – but things did get a little weird. Maisie took part in the hidden camera stunt for Nylon magazine, which she features on the cover of this month. Wearing an earpiece and taking directions from our team behind the scenes, Williams faced unsuspecting customers who swore they recognized her from that really popular HBO fantasy show, but couldn’t quite figure out what she was doing behind that counter.